Idaho is made up of many small towns through out the entirety of the state. A lot of these smaller towns that are riddled though Southeast Idaho are all farming communities. They feel old, they feel small, and they feel well worn and lived in. Here at the Group Real Estate, we love to highlight a few of the surrounding areas that we help with listings and buying. This is the perfect way to describe Firth, Idaho. A small town, near Shelley and just 20 minutes south of Idaho Falls (with many surrounding, named, areas making up the Consensus of it all), that bolsters 470 people in it’s small population. This does not count the surrounding areas. With the surrounding areas, the Firth zip code, there is a probable number of about a thousand people. According to the United States Census Bureau, the city has a total area of .54 square miles, all of it land. Firth began as a tiny Swedish settlement in 1885, the same time that trappers and farmers were settling in Blackfoot and fending off the Indians. Firth is named for Lorenzo J Firth, an English emigrant, who gave land for the railroad section house and water tank, the railroad named the station for him in 1903. Shortly thereafter came the Post Office. If you drive through Firth today, you will see that not much has changed since then. A small township slowly grew for the last 100 year, getting the number of just under 500 people living within the “city limits.” As you enter Firth, there is one thru-road through the entire town, to which you will see a grocery outlet, a gas station, a bar, a doctor’s office, a mechanic’s shop, an auto parts store, a Mill (aptly dubbed the Firth Mill), and the Post Office. Firth has been known for years as a power house in Sports, especially in cross country, track and field and basketball. 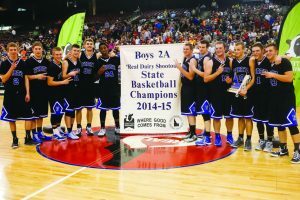 Under the tutelage of Coach Adams, the Firth Cougars basketball team won the State trophy four years in a row from 2007 to 2010 and have won, since 2010, the trophy in 2014, 2015 and 2016, bringing the total to 7 championships in 10 years. A farming community at it’s heart, the township of Basalt, that neighbors Firth is home to Idaho Supreme, where Idaho potatoes are made into french fries, potato chips and packaged spuds all over the world. In fact, if you go to Five Guys burgers, they will tell you that their french fries for the day were “Made in Idaho.” These fried come from Idaho Supreme. One of the many things that has helped so many students from Firth, is that they attribute so much of their day to day and their futures on learning how to work. Each year, for 2 weeks, the school takes off time for Spud Harvest. During this time, students are asked to work in the potato fields, from driving tractors to picking clods from the conveyor belts that bring the spuds to the truck. They can haul in a lot of long hours and it takes a lot of determination to work such grueling hours, some of the hours being sun up to sun down. This helps the kids there learn a strong work ethic. Many have attributed this to the successes of the sports programs and getting scholarships academically. Learning hard work in the fields definitely transitions to real life outside the potato harvest. 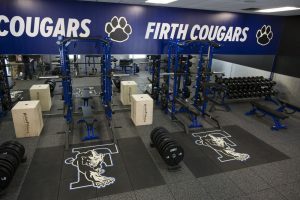 As part of a Make-A-Wish foundation wish, the gym at Firth High School has been updated. One of the nicer facilities in the area, it actually beats out a local Anytime Fitness in Shelley, Idaho as a better gym. What makes this so special, is that you can gain a monthly membership at the Firth High School gym. As a farming community, one of the more fun events that is thrown each year, is the Little Buckaroo Rodeo. A rodeo that lets kids learn the style and fun of a Rodeo, as they learn how to rid sheep, called Muttin Bustin’, ride steers to prep them for bull riding and enjoy the overall feel of a Rodeo. Right next to it is a newer camp ground, the has toilets, running water, swings, a zip line, and play area for children. If you are looking for a small town feel, with not a lot of “hustle and bustle”, but still want to be close enough to the towns and cities, Firth is the place to be. There is plenty of land, plenty of outdoors things to do, it sits directly on the Snake River and is just a 10 minute drive from the mountains, where you can enjoy hunting, riding 4-wheelers, sledding and camping.